Turret along Old San Juan Wall in Puerto Rico at night. Is Puerto Rico’s Hurrican Maria Trump’s Katrina? Yes, with a “B” and we didn’t stutter. When it comes to leadership, it is an area in which the President often fails. He talks a big game, but the facts are undeniable. In this case, he can’t just wave his magic wand and make the debt of Puerto Rico disappear. Even the recent tax bill that President Donald Trump heavily hyped there is no relief for residents of Puerto Rico who continue to suffer following being ravaged by hurricane Maria in 2017. So how did it get so bad? Simply put, the government of Puerto Rico had a little translation problem from Spanish to English back in 1952. Don’t laugh, it happened. The translation of “recursos totales” should have been “total revenue” but the leaders at the time decided it meant “total resources.” Because of this, they issued bonds like crazy, driving up the debt. In the last ten years, they went aggressive, going from $43B in 2006 to over $70B now. Oh, and the $73B figure does NOT include the over $40B Puerto Rico owes in unfunded pensions. So that’s it? A massive debt because of a mistranslation? Not quite. The US Congress had its hand in it too. I’m sure you knew that was coming. 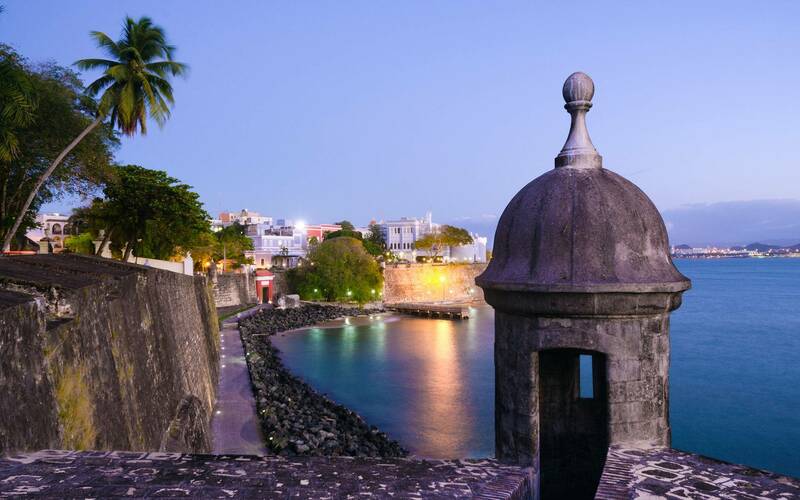 Unknown to many, Puerto Rico was a lovely tax haven (see: Tax Haven Paradise Papers) for the pharmaceutical companies. It was far cheaper for them to make their drugs on the island because there was no federal tax on Puerto Rican operations. One small town on the island, Barceloneta, had 14 pharmaceutical companies, including the manufacturer of Viagra. This led to the mayor of that city to proudly say, “We’re responsible for a lot of good moments.” Then, for some reason in the late 1990s, Congress decided it wasn’t going to allow this tax haven any longer and began scaling back all the tax exemptions and ended them in 2006. Puerto Rico’s economy then tanked, and it still hasn’t recovered. This is especially troubling with the increase in popularity of health supplements including HairLossable, which supplies hair loss treatments. There are other companies that provide weight loss tablets, fish oil, amino acids, immune system boosters, etc., all with manufacturing in Puerto Rico. The loss of life from Hurricane Katrina didn’t happen from the storm; it happened because of a lack of a response from the Federal Government to aid those people devastated by the storm. Hurricane Maria caused far more deaths which could have been avoided by a pen. After hurricane Maria slammed into the island, many were wondering why neighboring countries didn’t send aid to Puerto Rico. Where was their compassion? Well, they wanted to, it is just the US mainland just doesn’t like Puerto Rico that much. Back in 1920, the Merchant Marine Act was enacted which states only U.S. vessels can take goods between Puerto Rico and the US mainland. This means that ships from other countries could not dock in Puerto Rico’s ports. The products and relief Puerto Rico needed to survive could not be delivered. Why? Because it was against the law and President Trump refused to remove the law, even temporarily. The result? People died. American citizens died. Hundreds and possibly thousands. Needlessly. This law also has experts scratching their heads, because of the trade restrictions, products imported to the island are far more expensive, but it also means products Puerto Rico produces can only be sold to the U.S. mainland. There cannot be any trade with neighboring islands. This is crippling to the Puerto Rico economy. The unemployment rate in Puerto Rico is nearing 12%, and all the skilled laborers have already left to the U.S. mainland. In case you are scoring at home, their unemployment rate is double the national average. Doctors, who are included in the “skilled laborers” are leaving in droves. This makes getting health care harder and costs more. This is why when the Zika virus spread on Puerto Rico it was so difficult to control. To further the problem, poverty rates are near 45% on the island. But the biggest issue relating to Puerto Rico’s debt is what happened in 1984. Strom Thurmond, the former senator from South Carolina, decided he was going to deprive Puerto Rico of bankruptcy protection that every state in the union has access to. Thurmond worded part of the bill to make Puerto Rico exempt from the ability to file for bankruptcy under Chapter 9, and no one knows why he did this to Puerto Rico. Where did he do this? In the definitions section of HR5174, a bill that was fixing the bankruptcy court systems, the definition of the word “state” was laid out, and Puerto Rico was on the outside looking in. When it comes to leadership, politicians continue to fail us, and we continue to allow them to fail. It is enough to wish politicians had the leadership and grit of the Dwight D. Eisenhower, also known as the supreme commander of the allied forces. Make your voice heard. How has Hurricane Maria affected Puerto Rico? Hurricane Maria was a much smaller storm than Hurricane Irma, however, it landed a direct hit on Puerto Rico and the results were devastating. How did Hurricane Irma affect Puerto Rico? Hurricane Irma was a massive Category 5 hurricane, but the eye passed just north of the island and Puerto Rico was spared devastation. Even with missing the island, the high winds left over one million people without power.